For speaking engagements, appearances, hosting opportunities or any other inquiries, please e-mail Marianne. Marianne is also featured at American Program Bureau, Soapbox Inc. and as a media source at SheSource. Women's Political Leadership: What Will It Take? More dates and announcements coming soon! You can also visit the What Will It Take site for more upcoming events. Washington University: Olin Business School's Women's Leadership Forum presents "What Will it Take to Make a Woman President? Conversations about Women, Leadership and Power"
Women, Leadership, & Power: What Will It Take? For an updated list of events, check back regularly or follow Marianne on Facebook and Twitter. 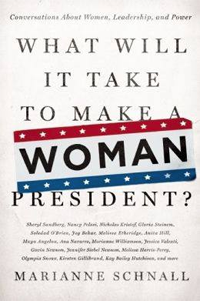 Read write-up: Marianne Schnall talks about "What Will It Take to Make A Woman President?" "Marianne Schnall's visit to Dartmouth organized around the recent release of What Will It Take To Make A Woman President? : Conversations about Women, Leadership and Power had the dual benefit of providing the Dartmouth community with a chance to think about and discuss issues related to gender inequality - an issue greatly scrutinized at Dartmouth - and to find solutions with the input of leading female voices, as interviewed by Marianne Schnall. To engage on this topic with Marianne Schnall and to hear what barriers women face in their professional pursuits - and how to work around them - have only strengthened our community's sense of purpose and direction in taking action and pursuing greater opportunities." "Skidmore Women in Business is a new student organization at Skidmore College. The organization recently had the honor of hosting Marianne Schnall as its first speaker. For our event, she specifically tailored her speech around not only our organization's mission, but also around the personal interests of our organization's leaders and its members, making her lecture incredibly intimate and impactful. Her willingness to share her experiences and passions with us - both personally and from behind the podium - helped to enrich our community's conversation about women and leadership." "Marianne Schnall dazzled our students this year in her discussion of her book, "What Will It Take to Make A Woman President". Her inspiring, energizing and dynamic presentation left us all thinking yes!, we now have a roadmap to get us to the place of the possible: to finally elect a woman to the United States Presidency." "The idea of starting the Feminist Society at NYU began at a previous reading by Marianne Schnall, so it was only fitting to host a reading for her release of What Will It Take To Make a Woman President: Conversations about Women, Leadership, and Power. Coincidently, Marianne was able to make the event blossom into an actual conversation about women, leadership, and power. Our intimate conversation crossed generations and races and inspired a call to action for leadership networks and mentorship that I hope to continue." "Marianne Schnall's most recent visit to Cornell began with an opportunity for students to have an informal and lively conversation over dinner about Marianne's career and the opportunities and challenges for women professionally. Her keynote talk as part of our International Women's Day celebrations allowed the Cornell community to examine - through a gendered lens - our understandings of leadership, equality, influence and power. The conversations inspired by Marianne's book What Will It Take To Make A Woman President? : Conversations about Women, Leadership and Power during her visit will continue to generate dialogue on campus and shape the actions and opportunities we create for our community." "Marianne Schnall's book What Will It Take To Make a Woman President: Conversations about Women, Leadership, and Power prompted Public Radio International to host a dialogue between Marianne and journalist Carol Hills of PRI's The World. Framed by Marianne's book, the conversation was an engaging and provocative look at women in positions of leadership in the US and around the world. The audience of women and men appreciated the insights shared by Marianne." "Marianne Schnall recently spoke with our young women's leadership program about her book, What Will It Take to Make A Woman President? : Conversations about Women, Leadership and Power. Six months later, the students are still talking about it! 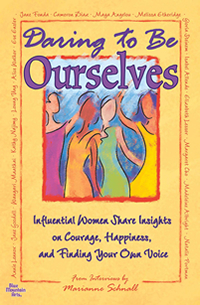 Marianne's insights were not only inspirational to the young women in our community but also provided our educators with important tools to grapple with issues of gender, power, and leadership in our school community." 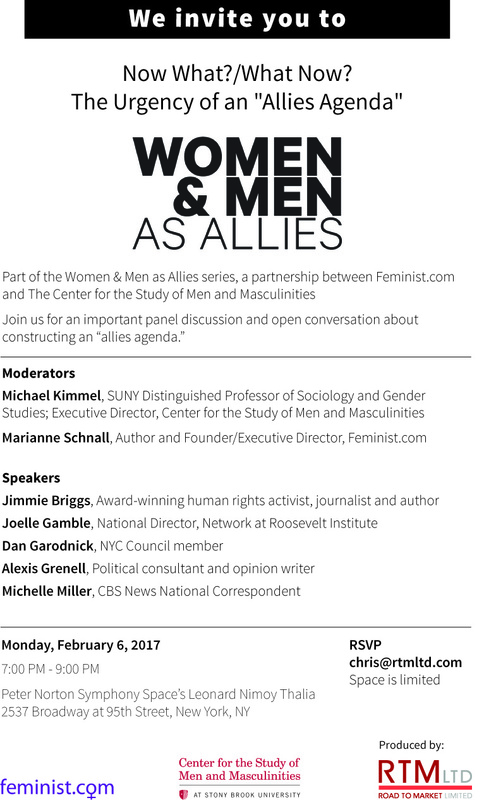 "Thank you for participating in the event, What Will it Take to Make a Woman President?, on September 23, 2014 with the Center for the Study of Politics. The event is part of our ongoing commitment to foster informed and substantive discussion on important matters of public policy. Your thoughtful discussion about the hurdles that women face when running for office and the importance of striving for gender balance in politics was well-received. The audience appreciated the opportunity to hear from an expert doing pioneering research. Once again, thank you for contributing to the programming with the Center for the Study of Politics and Governance. We look forward to continuing the dialogue about electing women and working together in the future." "We were delighted to host Marianne Schnall for a book talk about What Will it Take to Make a Woman President? The event was a delightful and intimate affair which got all of us thinking about our own political careers and what barriers, particularly in the US, persist and keep women from reaching their full electoral potential. Thank you for speaking with and inspiring us!" "For the past 19 years, the Eleanor Roosevelt Center at Val-Kill(ERVK) has provided leadership training for entering 10th and 11th grade girls from around the world through its Girls' Leadership Worldwide (GLW) program. One of the highlights of GLW includes a dinner with accomplished women organized by Eleanor Roosevelt's great-granddaughters. This year, Marianne Schnall served as our inspirational keynote speaker at the dinner. In sharing her life journey with the girls, she communicated that it is okay not to know exactly what you're going to do with your life, but that by following your curiosities, you can join your passion with your career. Marianne was able to connect with each of the 42 girls in a different and profound way by sharing quotes from prominent women she had interviewed throughout her career. Of the many quotes she shared, at least one impacted each girl in a powerful way, lending advice on how to propel her personal growth. We were excited by her ability to discuss feminism in such a universal way, one that includes men as a part of the solution. Marianne struck a beautiful balance of owning her accomplishments and being down to earth. Most importantly, she met the girls where they were and inspired them to continue in the direction of their dreams." Recently, I had the pleasure of attending a WICT (Women in Cable Telecommunications) event that featured author Marianne Schnall. What I loved about the event is Marianne's passion for her subject: women's leadership. The WICT interviewer began the conversation talking about women in business and how we can move up the ladder, but what really captivated the audience was when Ms. Schnall started discussing women in political office. Clearly she hit a nerve because suddenly the audience could speak of nothing else: how do we get more women elected? The WICT interview moved into an audience interview, with great questions lobbed at Ms. Schnall, and truly thought-provoking answers returned. In the end, the beauty of Ms. Schnall's presentation was an audience of women fired up to make change, to vote, to increase their civic engagement, and just possibly, one or two who might consider being the change-agent themselves and running for office. A transformational event - courtesy of Marianne Schnall. It's what she does. "Marianne Schnall's visit to Roger Williams University inspired critical campus dialogue about women and leadership in the United States. Her visit took place amidst an exciting Presidential Primary race in which three women were seeking nomination by their political party to run for the Presidency. It was exciting to have the opportunity to talk with her about her work, and about her most recent book, What Will it Take to Make a Woman President?, in a political climate that may yield our first woman President. In addition to asking important questions about the relationship between women and power, students were also encouraged to think about the economic, social, and political factors that disempower women, making them scarce at the top ranks of politics, business, and the media. Her knowledge and experience are broadly relevant to a variety of disciplines, which made her an ideal candidate to bring people together in conversation across academic departments and student life communities." "Thank you thank you thank you 3 times. The WIL class absolutely loved you! I wasn't in the room the entire conversation, but the buzz afterwards was huge!" For speaking engagements, appearances, hosting opportunities or any other inquiries, please contact Marianne.